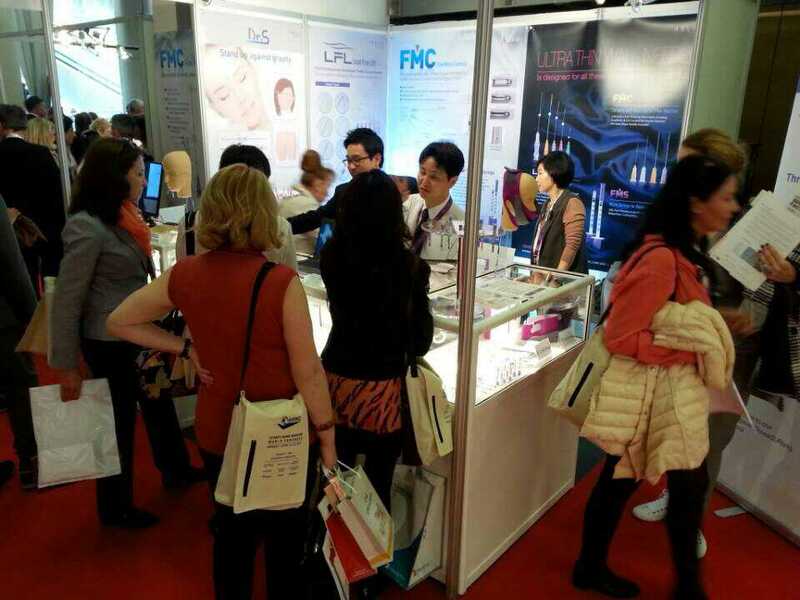 Grand Aespio Inc. consecutively participated in ANTI-AGING MEDICINE WORLD CONGRESS in Monaco(3~5 April) – the 12th AMWC 2014 and making this year yet another successful event with the stand F12. 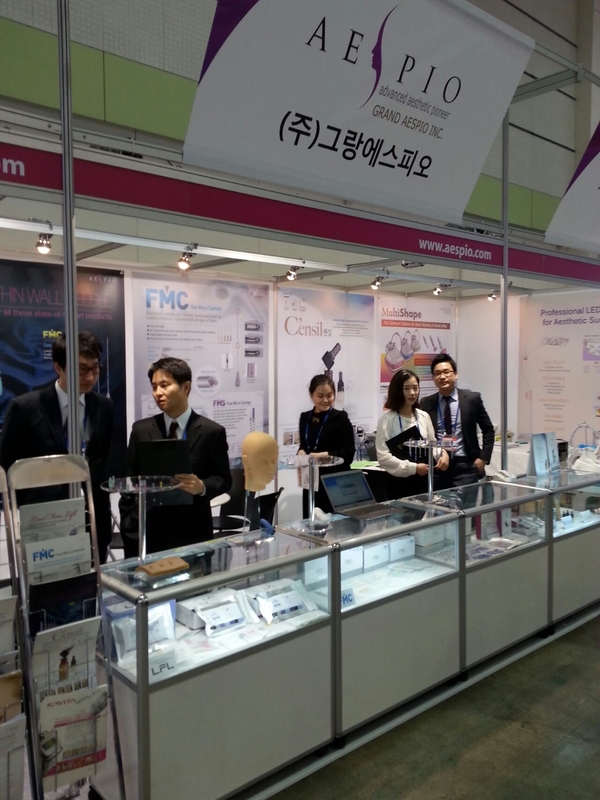 AMWC 2014 attracted over 8500 participants representing over 120 countries, 250 exhibiting companies and sponsors. Grand Aespio Inc. will continue having its stand in the same location for the next year of AMWC 2015. 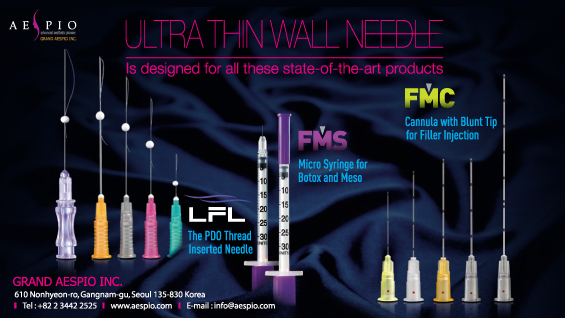 Asia Forum for Aesthetic Surgery & Medicine[AFAS] organized by KAAS which is the leading international conference in Asia in association with other societies representing each Asian country in Seoul, Korea every spring. 72nd Annual Meeting of the American Academy of Dermatology(AAD) 2014 will be held in colorado, denver US on 21st March 2014. AAD is one of the largest organizations of dermatologists in the world. It was founded in 1938 and represents 17,000 dermatologists in the United States, Canada, and around the world. Grand Aespio Inc. promoted its sophisticated technologies – LFL, FMC, FMS with the booth 1458. Lead Fine Lift(LFL) Website Launch – Grand Aespio Inc.
Grand Aespio is pleased to announce the launch of this new website for Lead Fine Lift(LFL). Based on one of their responsibilities for sales & marketing activities to support their beloved partners over the world missions to satisfy their clients, they designed this LFL dedicated website to provide a comprehensive fresh, useful information of LFL for their partners domestically and internationally. They designed their website quite simple and easy to look at with the information on LFL from A to Z we want to share. There are many exciting features available on our website including the history of Mesothread, all the details of LFL – 8 different types, videos, things to read, updated news – LFL in the most prominent exhibitions, partners over the world, etc. Their website will always be a work in progress. They will continue to update their website regularly with new addition of technologies and news from them and their partners. Please take a moment and navigate through their new website. If you have any questions or comments regarding the content contained in our website, please feel free to email them at info@aespio.com.